Gutters are used to direct water away from your surrounding and it is important that all homes have them installed all around them. Without gutters, water damage can occur on the exterior and interior parts of your home. 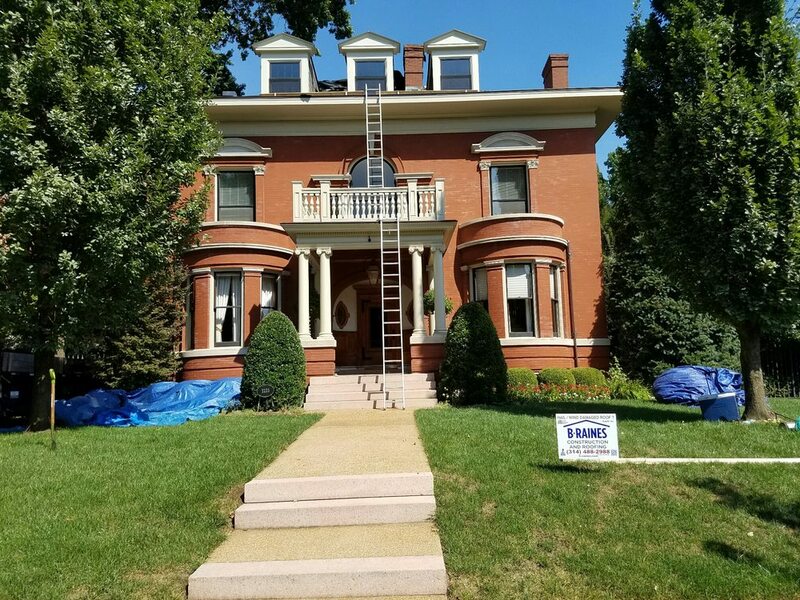 At B-Raines Construction & Roofing we make it a point to deliver the finest gutter sales, installation, and repair services in St. Louis. Aluminum gutters are the most popular product in St. Louis. The seamless aluminum can hold more water than any other gutter. They are an affordable long-term investment with a low installation cost. We offer aluminum gutters in a wide variety of colors that do not rust. Copper gutters are guaranteed to last a lifetime. They are highly resistant to airborne pollutants and provide protection to your home while adding a unique look. Copper is a classic, earth colored marbling that is at first bright and shiny but over time can add a more bronze look. Galvanized steel can withstand the worst of conditions such as ladders and fallen branches. They give away a distinctive rustic look and can last up to 30 years. Typically, homeowners with steel metal roofs use these to minimize corrosion. Galvanized steel is slightly more expensive because of its durability. It is hard to ensure that your gutter is capturing all of the rainwater. A properly installed and maintained gutter can reduce mold, insects, and mildew from around your home. At B-Raines we can install your gutters at a reasonable price, protect your landscaping, and eliminate the water dripping around your doorways. When your gutters are leaking, rusting, or hanging down it is safe to say that they might have seen their last day. If you don’t fix issues like this before it’s too late, there is a good chance that more will go wrong in the future. With the help of B-Raines you can identify and correct problems affordably and effectively. Contact us today for a free inspection provided by our gutter experts. Storm and hail damage on gutters is clearly visible. These dings on either the outside or on the bottom can drive you crazy. Here at B-Rains, we specialize in hail damaged gutters. We can help you identify the damage and get it repaired right away for nothing more than the price of the deductible. Choose from all different selections of colors and styles for your gutters. With 15 years of experience and knowledge, B-Raines can replace or repair your gutters at a reasonable price in sufficient time.